This comfortable apartment is located in Meribel-Mottaret, located in the heart of Les Trois Vallées, one of the largest ski areas in the world. Meribel-Mottaret consists of the districts Chatelet and the larger Laitelet. The cozy apartment, which is located in the residence Aiguille du Fruit in the district Laitelet, located on the top floor and has two balconies. From the apartment you can ski right and, depending on snow conditions, direction blue piste skiing. 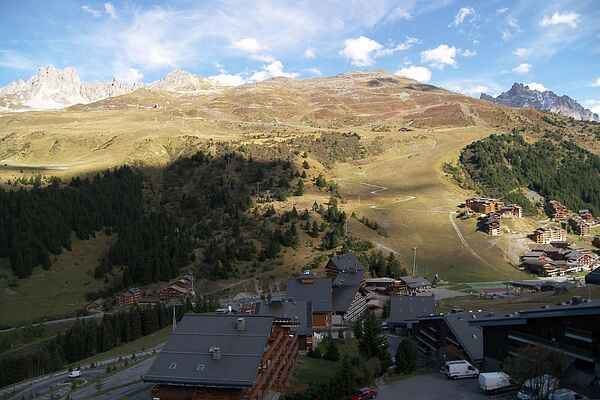 400 m away from the apartment you will find the shopping area of ​​Mottaret, which also has several restaurants. The shopping Hameau is accessible by cable car. Meribel-Mottaret is surrounded by pine forests and nature Tueda and not only in winter but in summer many possibilities. Take a nice walk through the nature reserve, or go mountain biking, swimming, cycling, climbing, tennis or horseback riding. Golf enthusiasts can play a round at the 18-hole course at Meribel.